The Lil Rascals Take On Cleveland State University’s Viking Quest!!! Every year, our friends at Cleveland State University have an athletic teamwork challenge known as Viking Quest, and this year, Rascal House joined in on the fun! While most of our team members had to stay in the kitchen to keep dishing out Cleveland’s favorite pizza, a few of our own Rascals went out to represent us as the team “Lil Rascals”, and they won Most Creative Team name! Consisting of Rascal House team members manager Nick, delivery driver Chris, grill cook Shauntrell, and cashier Christien, the Lil Rascals had a blast completing the two mile obstacle course race on Cleveland State University’s campus, and Rascal House was excited to be a Gold Sponsor for the event! Check out the Lil Rascals!!! 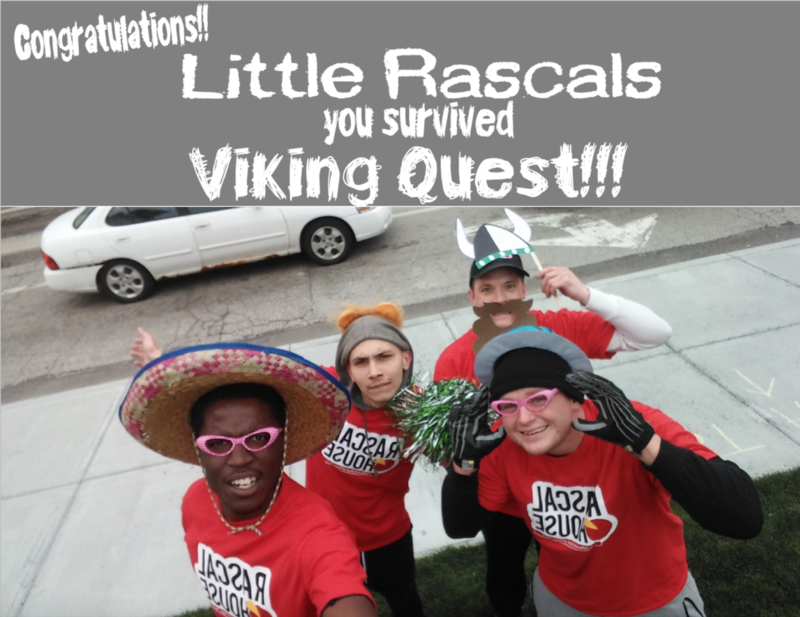 We are so happy to have been a part of Viking Quest with the Lil Rascals this year, and we look forward to next year too!!! For more information about Viking Quest, click here. Do you have a Rascal House pic you’d like to share? We want to see! Use our hashtag #RascalHouse on Twitter and Instagram, or post on our Facebook page! Comments Off on The Lil Rascals Take On Cleveland State University’s Viking Quest!! !